Consider dance. Dancing the ideal activity for your child to build strength and stay in shape until the spring arrives and they’re ready to play ball again. He or she may even enjoy dancing enough to continue into the sports season. After all, many professional athletes attest to the benefits of dancing. In order for an athlete to improve his or her performance in a sport, they may need to step outside the field, court or wherever they play in order to do it. Many athletes cross-train, which involves participating in sports or exercises other than the one the athlete competes in. Many athletes, like the football players mentioned above, participate in dance as a cross-training activity. Cross-training can help reduce an athlete’s risk of injuries by balancing out muscles and providing relief to the ones that are constantly worked or moved. Agility is the ability to move your body quickly, easily, and with control and balance –something athletes require. Performing a dance routine takes a great amount of agility. Your child needs agility so her or she can react quickly and make transitions between dance steps, and at the same time be able to feel what they’re doing. Ballet can especially make your child more agile, as he or she moves quickly and changes direction with great balance, stability and range of motion. Whether it’s ballet, jazz or hip-hop, every style of dance requires a great amount of flexibility. Dancing causes muscles to become soft and move with ease, and also increases joint range of motion. As your child dances on a regular basis, he or she will gain greater mobility in their joints by gradually lengthening tense, short muscles. Athletes who are flexible will become lighter, more graceful and versatile in their sport. Flexibility may also prevent sports-related injuries. Dancing engages cognitive and physical processes. It requires coordination of the body and brain, which can benefit athletes who must constantly use critical thinking in their sport. Dancing teaches patience, diligence, concentration and focus. It requires your child to analyze their body alignment and practice controlling the movement of every limb, teaching them how to isolate body parts. Dancing also enhances awareness of themselves in space and in relation to other people, another skill that can benefit athletes. Dancing is one of the best workouts your child can have, as it tones their entire body. Those bends, turns and leaps will give your child an amazing full body workout. Dancing builds strength by forcing the muscles to resist against a dancer’s own body weight. Not only does it strengthen muscles, it also keeps bones strong and helps build bone mass. These are all important for growing strong, healthy young bodies. 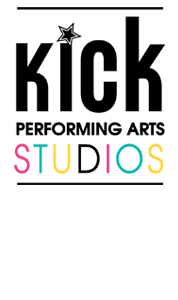 As the sports off-season arrives, we hope to have your child join us at Kick Dance Studios to experience the magic and benefits of dance.